I thought about it a couple of times. Some friends told me it is impractical. Some says it is not necessary. My ultimate dream is to have our own home in the future. But in order for me to achieve it, I need to push harder to earn more. In order for me to earn more, I felt it is necessary to get a good travelling companion. In order for the business to grow and really build connections, I felt it is quite necessary. I had a hard time getting a loan; I am not ashamed to say. But one day, while I and my partner were at the mall, I came across a sales representative who was confident enough that he can have me approved. I dared him and so he was in all his confidence he can do the job. Unfortunately, after a week or so, I was still waiting. One day, I and my partner signed up for a Toyota Vios loan at a car show in the office. I knew it was really not my choice but decided to do it anyway, just for the heck of it. Fortunately, after the morning of signing up, I was approved later that afternoon. I told the sales representative that I will be giving my down payment a day after the approval. The night before the down payment day, I had a sudden epiphany. If I got approved by the bank for an auto loan, then I have the choice of what car I really wanted. I thought, if I choose to get a better car; which I find unnecessary and impractical, I’d be struggling to pay for the amortization. I’d rather get a cheaper, more fuel-efficient and compact car that can serve its truthful use rather than for bragging purposes only. My first choice came true; and I am very happy with it. 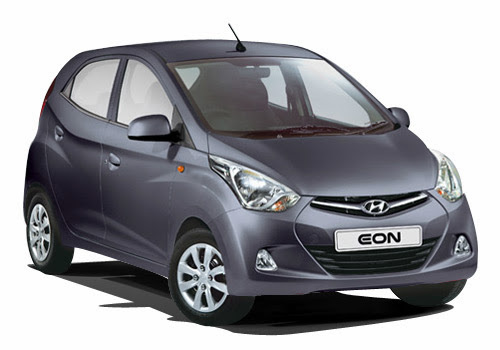 I gave up the luxury of owning a Vios and went to get a Hyundai EON instead. From someone who came from nothing, it is a proud and big moment for me. I am more at peace knowing that it is way more practical and efficient.